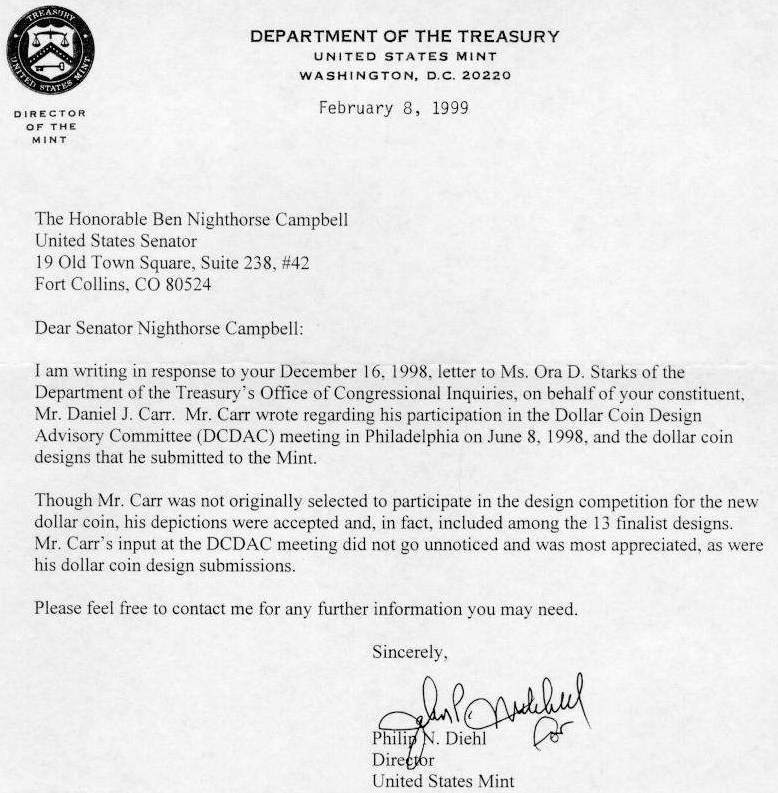 In 1998 before Sacagawea was chosen as the theme for the new US Mint small "golden" dollar circulating coin, an Apollo Astronaut prototype designed by Daniel Carr was considered by the US Mint and Congress as a possible design. 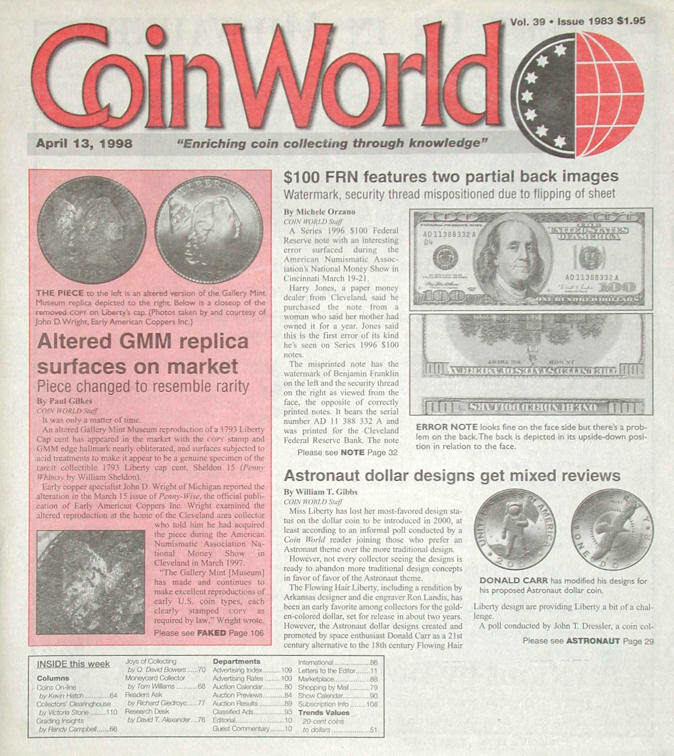 Renderings of it were featured in numerous publications including Coin World (front pages - March 30, 1998 and April 13, 1998 issues). 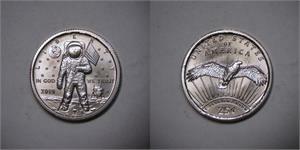 The obverse of this new version shows an Apollo Astronaut on the moon with a flag, Lunar Lander, and Earth in the background. The 13 stars in the background symbolize the future colonization of space. The "D" represents a "Denver" mint mark. A small "DC" (designer's initials) are visible at the bottom center. 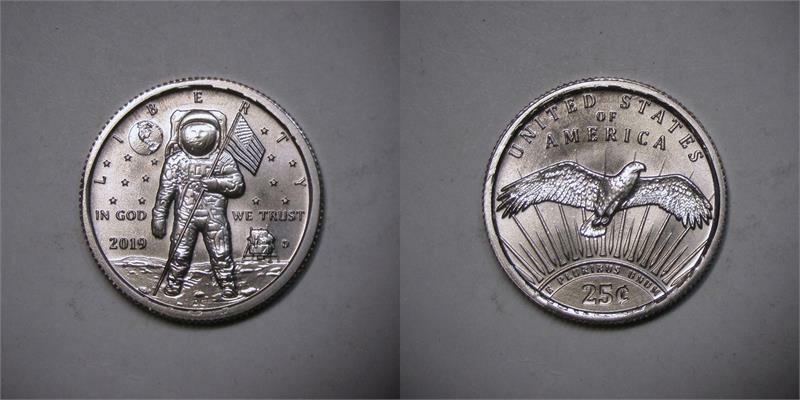 The reverse shows an Eagle soaring above the Sun, similar to the original version which became one of seven finalists for the reverse of the Sacagawea Dollar. Eleven major rays are a reference to the first manned Moon landing mission - Apollo 11. 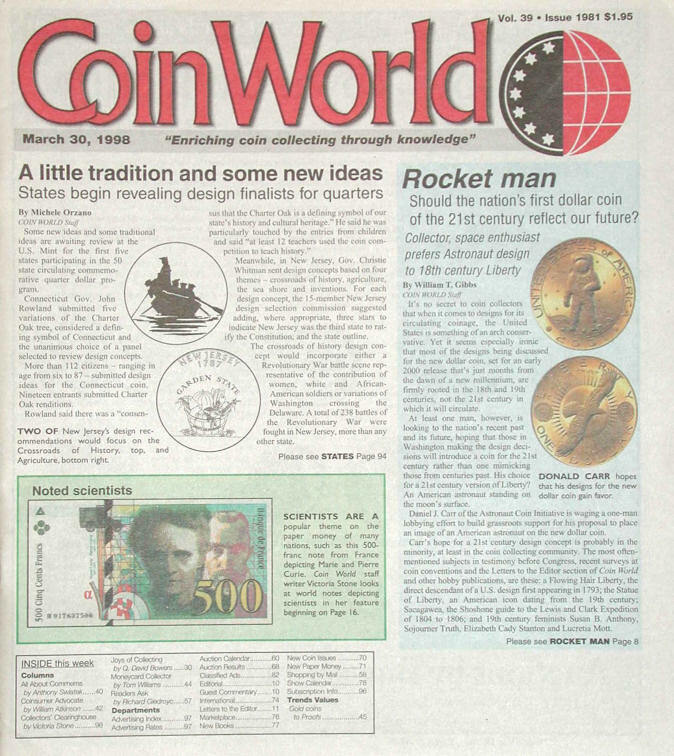 2019 is the 50th anniversary of the first manned Moon landing in 1969. Composition: Struck over US Mint 1969 copper-nickel clad Washington quarter dollars - (P, D, and S mint).